Dr Schott squeezed us in on Christmas Eve after we had visited urgent care the previous day. despite being extremely busy she took as much time as necessary to examine my son and was as patient as ever since he is now a very opinionated 2.5 year old who is not a fan of going to the doctor. we love Dr Schott and all of the staff at this office. The doctor was NOT our primary doctor. She was only one available the day we needed to see one. I didn't really get to know her to recommend. Very thorough and well educated doctor. Not the most friendly person. Dr. Schott always goes the extra mile! This was a more complicated visit but she took all the extra time she needed to ensure she was doing everything possible for our daughter, eating into her own personal time in the evening. We have had other pediatricians in the past but I hope we never need to find another one besides Dr. Schott- she is truly the best!! 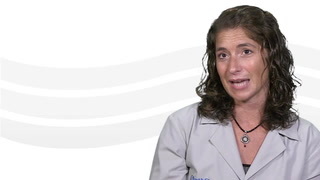 We LOVE Dr. Schott and recommend her to EVERYONE looking for a pediatrician. she was amazing with my son. in fact, at the end he walked out with a smile and actually state, 'it was kinda fun' which are words you would never hear post a doctor visit. Dr. Schott is incredible. Her wealth of knowledge and wonderful bedside manner makes her a perfect pediatrician!!!! We could not imagine taking our son anywhere else.